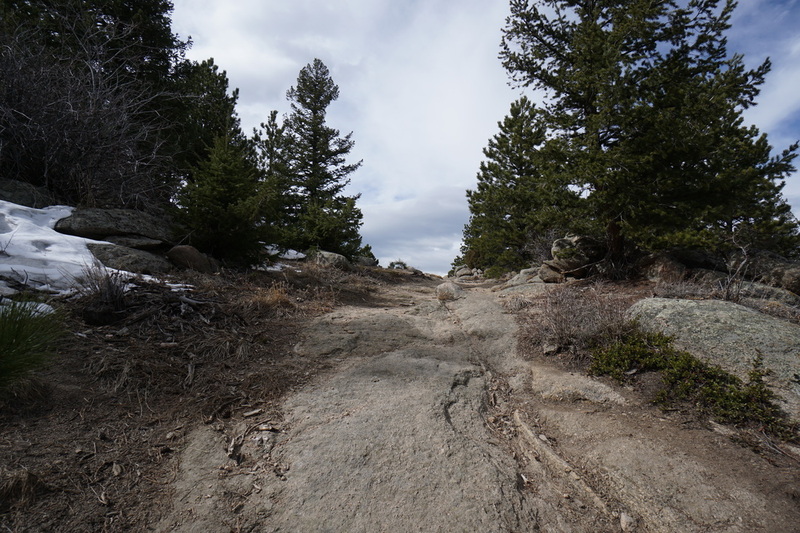 Directions: From Boulder, take Flagstaff Road west until it turns into Gross Dam Road. Follow Gross Dam Road to the North Shore parking area but instead of turning into the parking lot, turn left and follow the good dirt road for about .5 mile to the Scenic View parking lot. 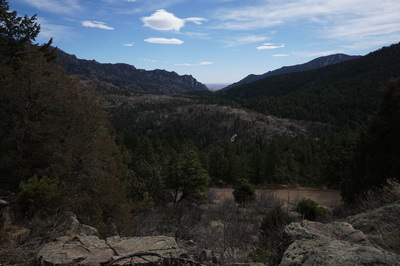 From Denver, take I-70 W to 93 North. 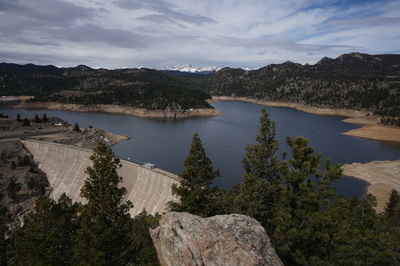 Turn West on Hwy 72 to Gross Dam Road. 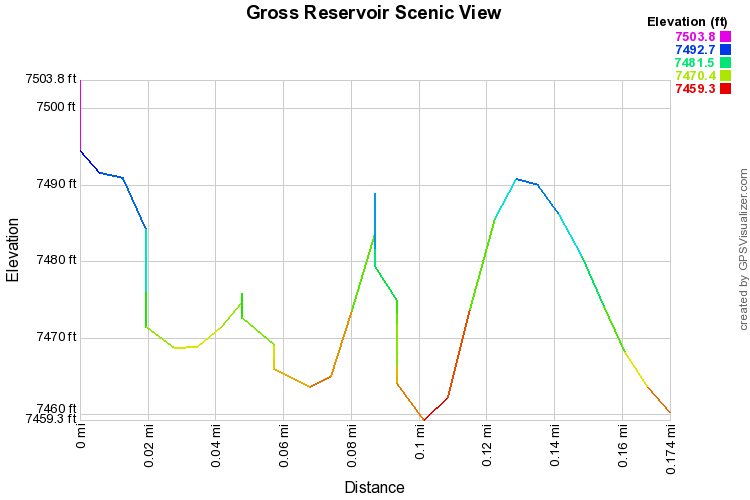 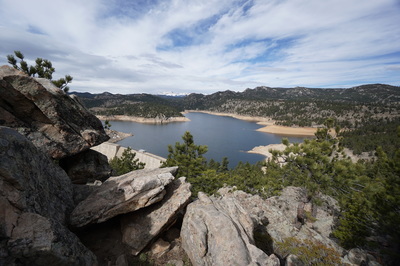 Follow Gross Dam Road down towards the reservoir, when you see the park sign and map, turn right and follow Gross Dam Road (good dirt road) for about 1.9 miles to the Scenic View parking area. 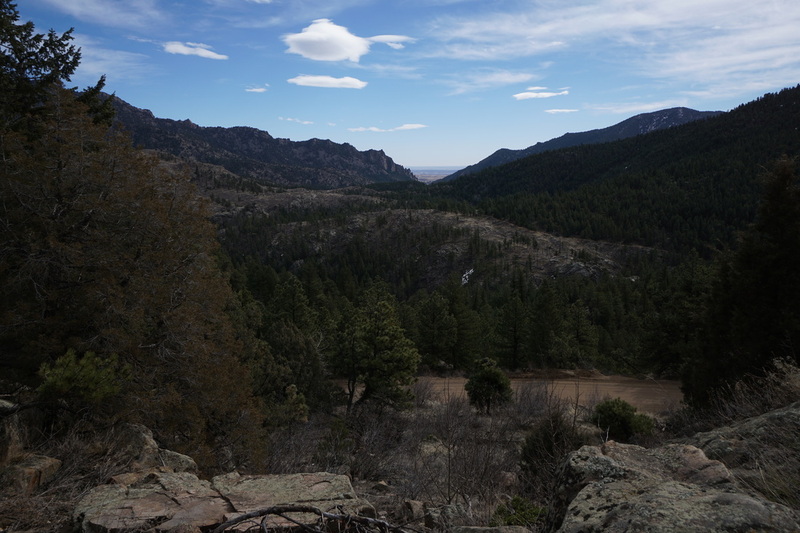 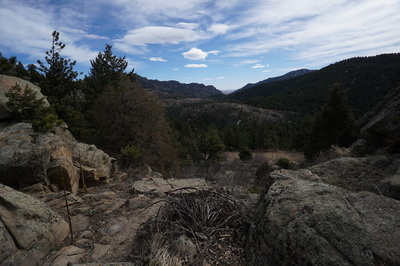 The Gross Reservoir Scenic View, is not much of a hike but I mention it here because the view is truly spectacular. 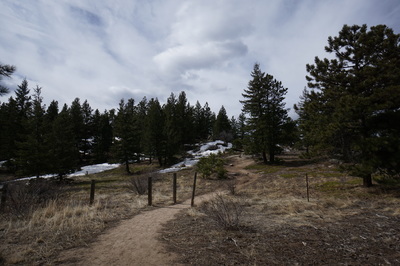 From the parking area, follow the obvious trail through the wooden fence and up to the picnic table about .1 mile from the parking area. 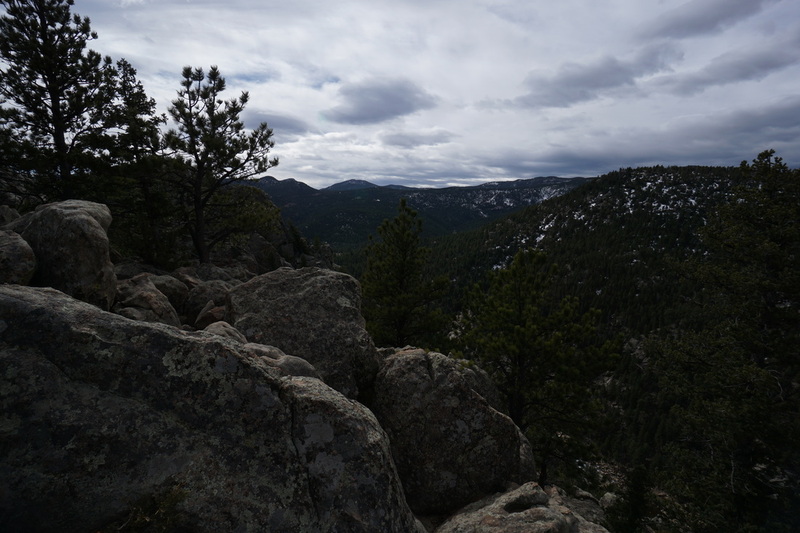 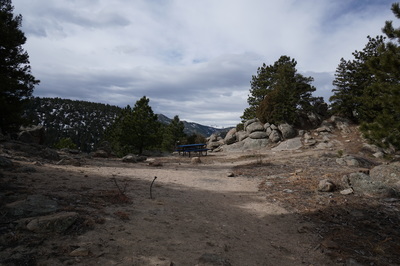 The view from the picnic table is good, but for the best view scramble up the rock outcropping to the right. 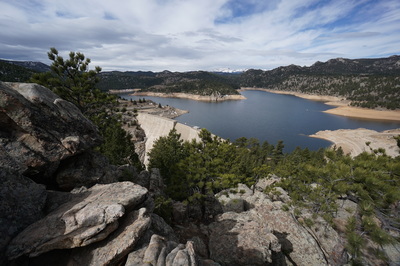 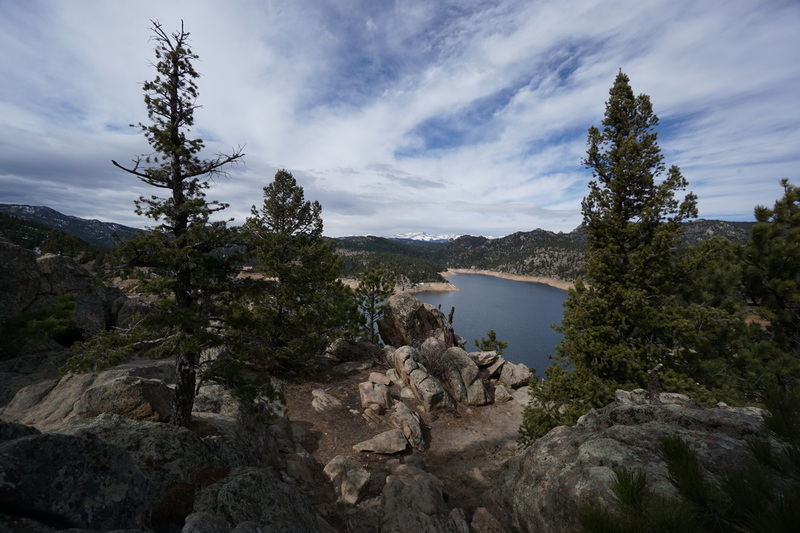 The view looks down on Gross Reservoir and out west to the Indian Peaks towering above the horizon. 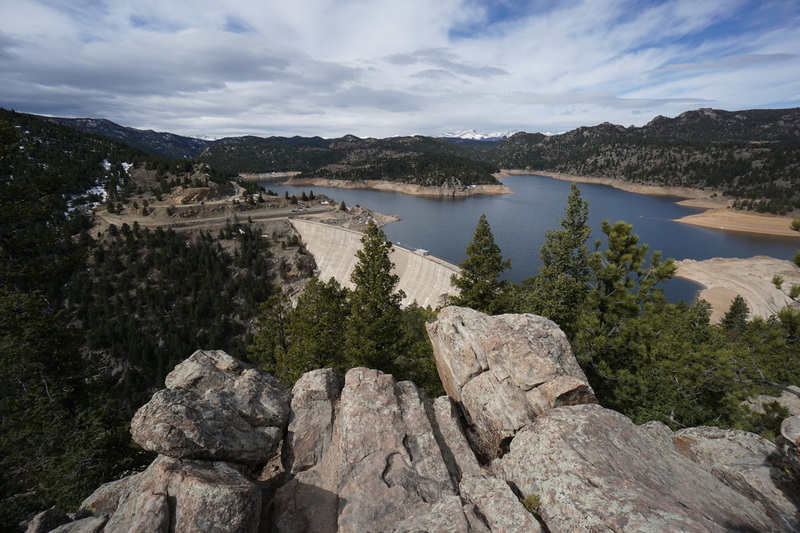 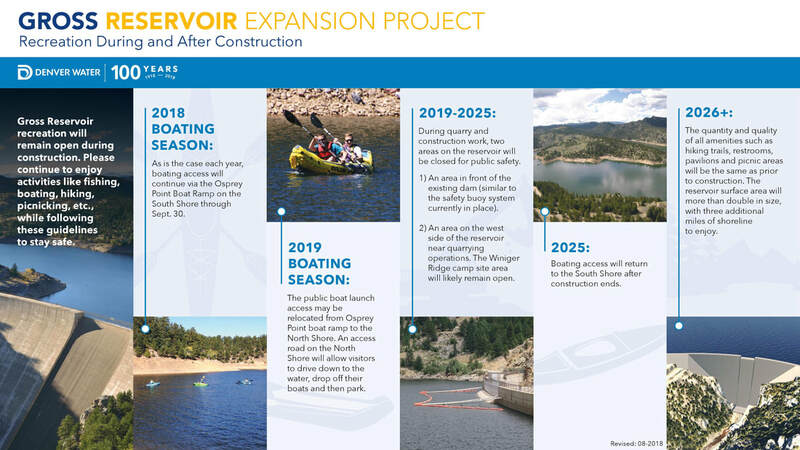 We highly suggest adding this short outing to your visit to Gross Reservoir.